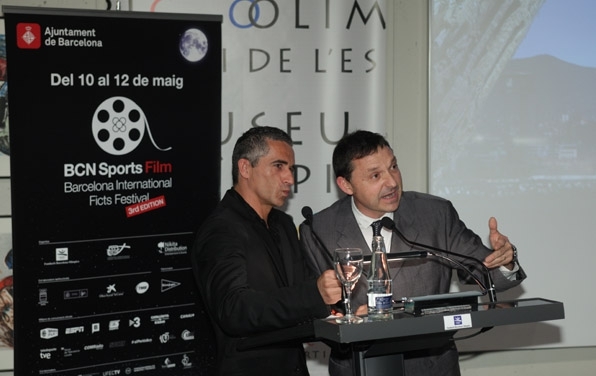 Welcome to the BCN SPORTS FILM FESTIVAL news page. Here you can keep abreast of Festival Updates: Networking events, competitions films and projections, exhibitions, etc.. Remember: All events are Free. Maite Fandos, president of the Fundació Barcelona Olímpica, was the person that gave the Ánfora Ciudad de Barcelona to the best film in the third edition of the BCN Sports Film Festival to FROM THE STREETS TO THE FIELDS by the Catalan production Cafetera Productions and directed by Carlos Sánchez-Llibre and Josep Badel. Maite Fandos spotlighted the importance of the fact that Catalan productions as La Cafetera is a reference in the audiovisual world. Also wished them good luck in the FICTS final that will take place in October in Milan where they will represent the Barcelona Festival. The special award of the jury – composed by Andrea Trepat, actress and winner of the AISGE award; Beatrice Coletti, director of BABEL TV; Bruno Delay, executive producer and founder of the International Surf Film Festival; Ot Pi, 12 occasions winner of the world of bikretrial; Paloma del Río, director of sports programmes of TVE 1 and Tue Steen Müller, award Danish Roos 2004 – was for the English film HANNAH by Sergio Cruz. UNE ÂME VOILÉE, by Sylvain Bresson de Francia. Beatrice Coletti, directed of BABEL TV, gave the prize to Benoît Parrot, producer of the film. A GREAT MACEDONIAN, by Renato Giuliani, Italian. 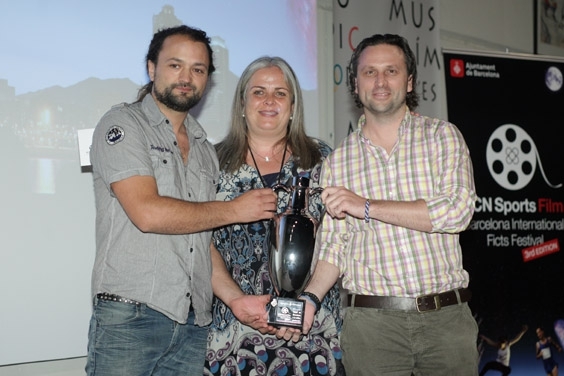 Ivan Cabrera, directed of 3D DOGVILLE festival was responsible for giving the prize to the director Renato Giuliani. The award to the best Catalan production. ENCORDADES, a production of the Facultad de Comunicación Blanquerna directed by Gerard Montero. BARCELONA '92: DONDE TODO EMPEZÓ by Informe Robinson de Canal +. 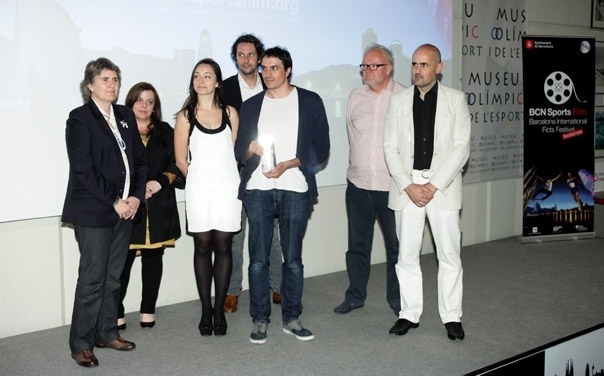 Juli Pernas, director of the Fundació Barcelona Olímpica, gave the prize to Román Escoda, of Canal +. MISSING, a co-production between Jordania and United Kingdom, directed by Tariq Rimawi and produced by the International Film School of Wales. 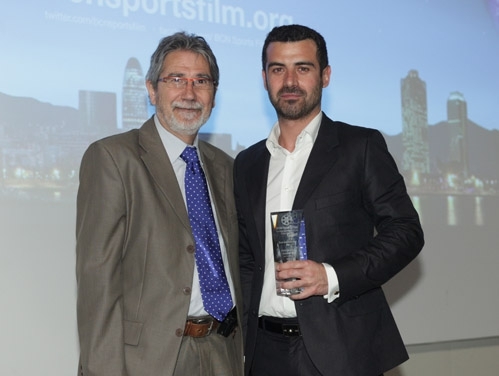 Sergi Agustí, winner of the first Edition of the BCN Sports Film Festival gave the prize to Yooni Yoon Soon, representing the author. The award Casanova Jodo to the best picture in Extrem Sport, that was a Go Pro Hd Hero 960 camera. 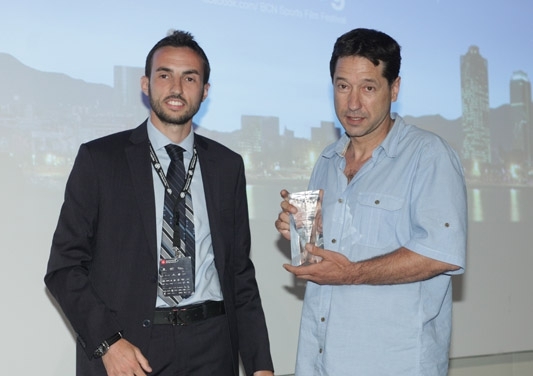 I BELIVE I CAN FLY, french, Raoul Rodríguez take the prize from the hands of Agustí Argelich, director of the BCN Sports Film Festival. GRAND PRIX, catalan, by Marc Orilla and Anna Solanas. 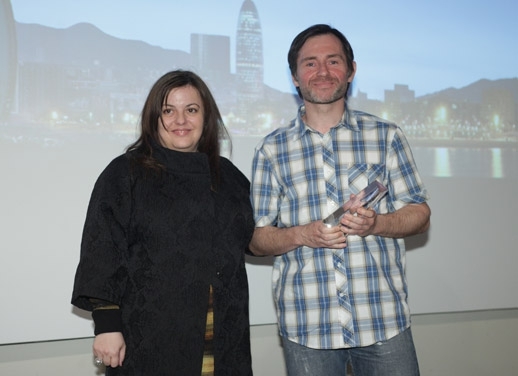 The Microgestión company, gave the prize to Marc Riba and Anna Solanas, both catalan. 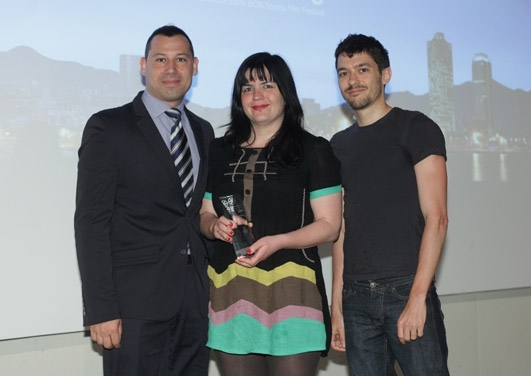 Bárbara Destefanis, directed of Nikita Distribution gave the prize to Sara D’Amico, representing the director. 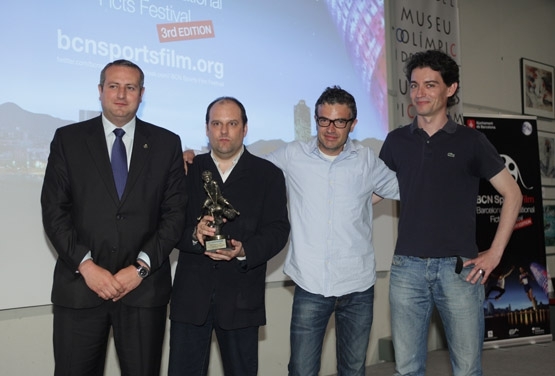 The award FILMETS Badalona Film Festival to the human and sport values, gentleness by the city council of Badalona. SOUFIAN, EL NEN QUE VOLIA VOLAR, by Xavi Torres, Santi Padró, Bernat Miró and Jesús Muñoz, a production of TV3 Televisió of Catalunya. David Gómez Villar, Regidor de Serveis Socials i Salut de l’Ajuntament of Badalona, gave the prize to the producers. AQUADETTES, by the norteamerican Zackary Canepari and Drea Cooper, of SLIM PICTURES, California. 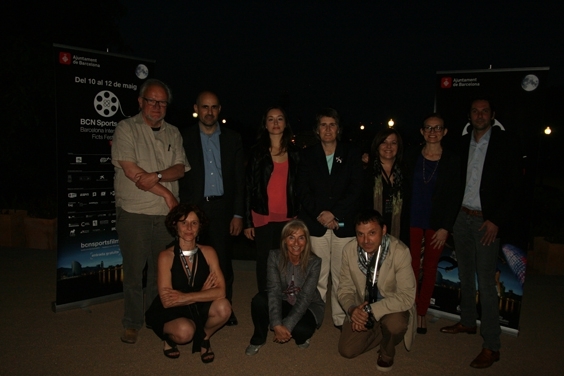 Esther Marqués, directed of the production company FILMETS BADALONA FILM, gave the prize to Sofia Just, representing the directors. Le Maillot de Cristiano de Vicent Bruno, Belgium. Teresa Agullo, of Fudació Barcelona Olímpica gave the prize to Bibiana Schonhöffer. 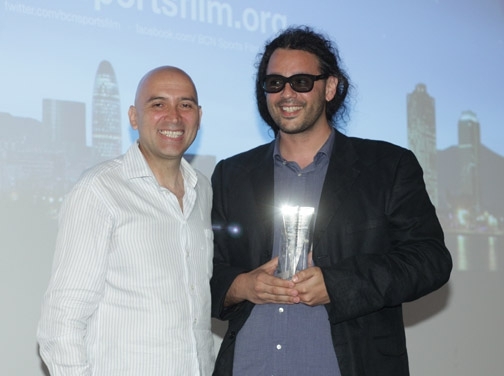 The prize to the Spot winner competition of 1000 euros was for César Pérez and Antón Corbal, two young catalan filmmakers. The documentaries Speciale Mundialido from Sky Italia's Babel Channel 141 and MPH Mann directed by Abelardo Rendo opened this morning's event which was followed by a continuation of the debate opened in the Workshop with the attempt to give keys on how to approach the market and monetarise audiovisual productions. Some very interesting ideas emerged such as involving the sales department from the very start of the project and including possible outlets amongst the initial considerations. Thus producers, directors and representatives from television continued the interesting discussion they had initiated the day before in the Workshop. Titled: Sports Themed Audiovisual: An Business Opportunity, the numerous participants gave us keys to and expressed their opinions on how to cope with the current difficulties. These opinions gave rise to a lively debate on how to overcome the problems. It was very obvious that the classical distribution channels were now completely obsolete and that new expressions such as: crowd-funding, Communications strategies, social media were prominent in the discussions. Participants included: Beatrice Coletti, director of Babel TV, Pio Vernis, partner in the WAW agency specialised in cinema, Sergi Agustí a director of documentaries, or Bruno Delaye, founder of the International Surf Film Festival as well as, of course, Tue Steen Müller who has been working for the Danish Film Board for more than 20 years. This is the last day of the Festival and will be crowned by the Closing Ceremony and Awards. The BCN Sports Film Festival comes to an end with two outstanding events: the first will take place in the Auditori Gran at the Olympic Museum where Sport & Film-makers will be held for professionals and in which two special films will be screened: Speciale Mundialido and MPH Mann. The other is, of course, the Award Giving Ceremony which will be held in the Auditori Gran of the Olympic Museum at 7:00 pm. This will be the closing act of the third and most successful Edition in which some outstanding films were shown. 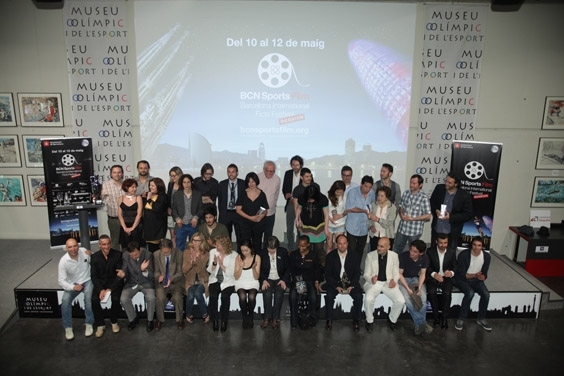 Finished the first day of the BCN Sports Film 2012. As the doors close on the first day of the BCN Sports Film Festival, It is safe to say that, year after year, the quality of films on display at Barcelona's sports film event has been improving. Today's session is a case in point. During the day we have seen a number of audiovisuals from a variety of genres and sports including baseball or cycling and countries such as Bulgaria. The programme was open to a public of all ages. Our sessions for schools filled the Auditori Gran at the Joan-Antoni Samaranch Olympic and Sports museums with young laughter as the kids enjoyed shorts such as Le maillot de Cristiano or Summer Bummer which we joined on the screen with more poetic animations such as Missing or Deep and Dance. The afternoon at the Auditori Petit was for a family audience which served as the ideal setting for the presentation of the forthcoming Special Olympics. One of the novelties of this year's event that is deserving of special mention is the session held at the Barcelona Model Correctional Facility which goes to show that the Festival is determined to open up to the widest possible public. In the evening, the prestigious jury, comprising outstanding personalities from the sport, cultural and audiovisual worlds will announce their verdicts which will be made public at the closing ceremony on Saturday, 12th May.